You must be a member of the Munich Artists & Friends Thereof Group to attend this activity. Would you like to join this group? The MuseumProtected content is open every first Friday of the month from 11am to 10pm. During the additional evening opening from 6 pm to 10 pm, admission is free for all visitors to the historical rooms and temporary exhibitions. Under the title FRIDAY LATE, the visitors of the Museum Protected content experience a relaxed and enjoyable introduction to the weekend. 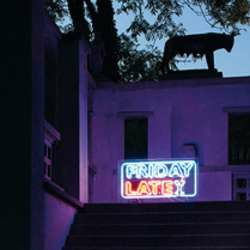 FRIDAY LATE offers live performances, readings, discussions, music by guest DJs and guided tours of the historical rooms of Protected content museum's collection and temporary exhibitions. The museum café offers food and drinks as well as the "sin cocktail" created especially for theProtected content Stuck.